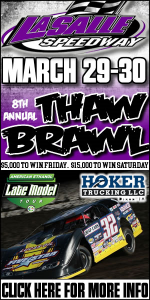 LA SALLE, Ill. (March 12) — If history is any indication, drivers from Illinois and Iowa will be tough to beat in the $15,000-to-win finale of the March 29-30 Thaw Brawl presented by Hoker Trucking at La Salle Speedway. Izzo has scheduled a pair of pre-Thaw Brawl open practice sessions at La Salle for March 23 and 28, both from 4-10 p.m. 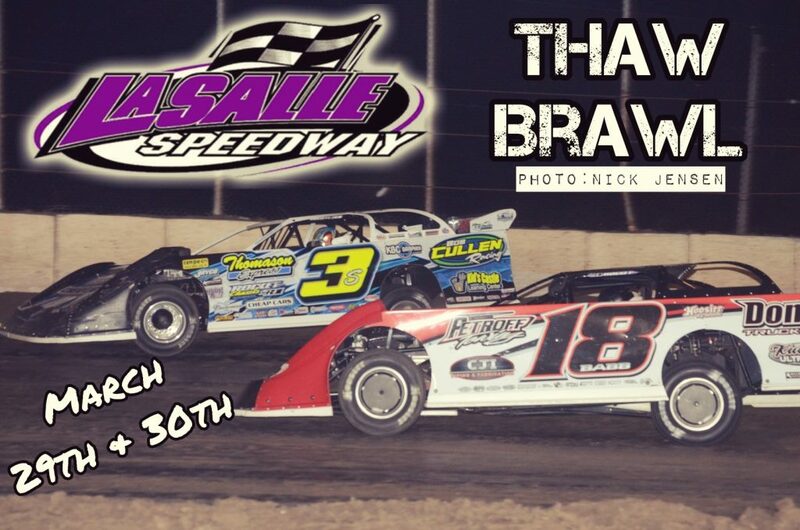 Ticket and camping information and other details about the Thaw Brawl weekend can be obtained by visitingwww.lasallespeedway.com or calling the track office at 815-223-6900.